This is a Rule-free roleplay. You will be given a warning if you cry about a godmodding application, when you have not even played with the person. Message me or a mod about in-game godmodding and he/she/i will deal with it. Faere ForestThis forest has been a known Faere resting place. Some say, if you shoot an arrow into the canopy of the trees, the Faere will throw it back to you. Unknown temple Where the Faere are said to live. The homeworld of the undead and Darketh races, evil usually lurks there. Evil resides here, unable to enter unless every orb is held. The cloudy oasis, and good counterpart to the underworld. Where the water creatures reside, whirlpools take you to strange places. Where the water creatures live. Sharks guard entrance, must be defeated first. Marketplace, housing, etc. can be found here. Its the place you first spawn in. Sorry if you are modded and forgotten. This is not regurlarly updated, and most likely outdated. Bio: Lucas was born as a product of the Grimm reaper. He was made to lure humans to death with his human form.Others in the underworld are undead, or shade. He has many powers.Shade: A creature made of shadow. Usually hostile, the creature takes the form of a shadow on earth to conceal itself. 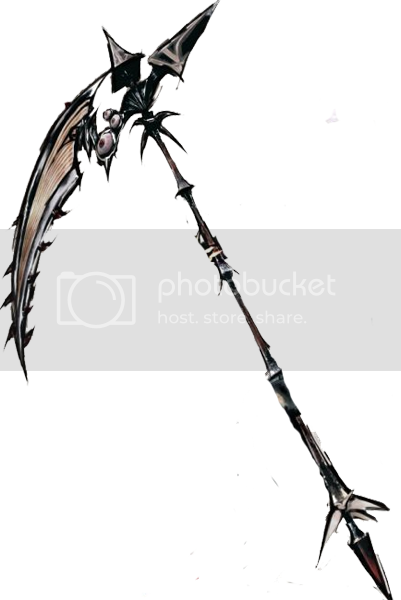 Given to him by his father, Grimm, This scythe is very powerful, if a fatal blow to the chest is made with the tip of this scythe, the opponents soul is harnessed and can be summoned as an undead minion later on. Home : Laelith, a capital known for it's multiculturalism. Bio : Mayhem lived in Laelith for over than 14 years. Until her parents got assassinated from a band of villains, the Black Hand.Left to herself, Mayhem lived 2 years in the streets of Laelith, stealing and doing little jobs to live, until she crossed a Fox-manwho were aware of her condition. He found potential in Mayhem and he decided to train her, making her a notorious thief inLaelith. As she grew older, the fox-man gived her freedom. Saying that he wanted to see her success with the dangers outside Laelith. Mayhem accepted as she was wondering about how much the world was big.Weapon : Wakisashi, a shorter version of the katana. others can self-elect. If a mod-appointed-mod is on, then all self elected mod positions are revoked. If you are a self-elected mod, you can do nothing other than accept apps and give two warnings per person. After the second warning, and every app you accept, PM(Private message) it to me, immediately. If you are a mod, and you ban somebody, or warn somebody, PM me about it with the reason banned or warned and date banned or warned.If you violate an above rule, you will be given a warning. if you violate an above rule a second time, you will be given a second warning. If you violate a rule again, you will be given a ban sentence for three days. If you come back, and violate another rule, you will be Perma-Banned(Never allowed back)Ban pleas can be PM'd to me. Happy roleplaying! Bio : Mayhem lived in Laelith for over than 14 years. Until her parents got assassinated from a band of villains, the Black Hand. Laelith. As she grew older, the fox-man gived her freedom. Saying that he wanted to see her success with the dangers outside Laelith. Mayhem accepted as she was wondering about how much the world was big. Weapon : Wakisashi, a shorter version of the katana. Arguments happen, they just do, you can't stop it, no matter how much power you have, even if it takes years to settle, when it does, everyone is stronger for it. Rivalries can be made into friendships if you let them. Some ideas are meant to be made into reality, but most need to be burned at the stake. Looks: Profile pic. Shirt is orange, wears jeans and red/grey/green sneakers, snail logo on front is rainbow colored. Satchel is redish-brown. Class: All around, but specializes in alchemy, engineering, and just being crazy. Home: Dimension 507-43Y. Now lives in his bar & grill. Bio:Ulti was born in Dimension 507-43Y, where he devoted his life to science at the early age of five. As such, he was considered a genius child. When he was 21 and living on his own, he used some of his saved-up money to buy an old bar&grill and began fixing it up. One day, one of his experiments in the basement screwed up and there was a huge explosion. When he woke up, he found that himself and his bar&grill where not in his own universe. After careful studying, he realised that he and his bar&grill now existed in all dimensions and he could travel to any one he wanted. Because he's never serious, he decided to have some fun with this. Now, he travels the dimensions, messing with them, creating chaos, and generally screwing stuff up. 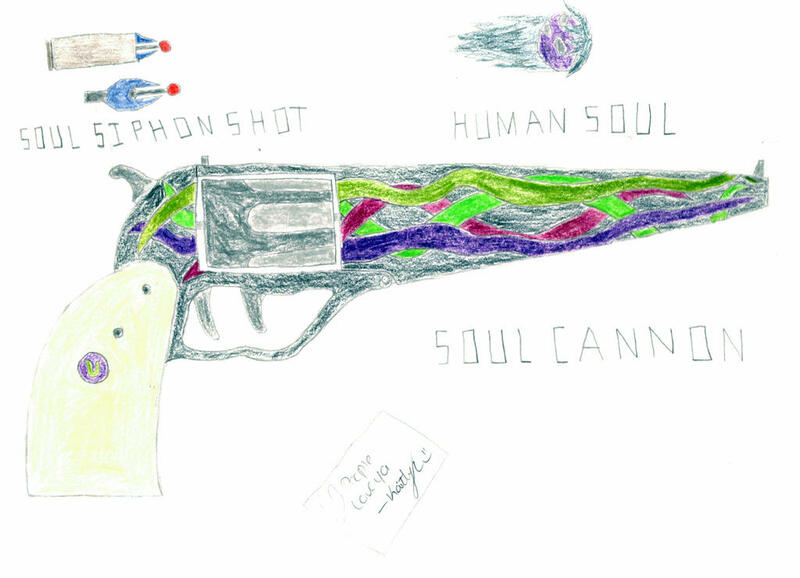 I've been working on some experimental weapons, but I'll just pull those out if I feel like it. In my current avatar, Julie is playing a vidya game.